The longest serving governor in Wisconsin history, Tommy Thompson was born in 1941 and raised in Elroy, Wisconsin. He received his bachelor's degree in political science in 1963 and his law degree in 1966 from the University of Wisconsin. He is a former Army captain and a former member of the U.S. Army Reserve. Thompson was first elected to the Wisconsin Assembly in 1966 and was elected assistant minority leader in 1973. In 1981 he was elected Republican floor leader. In November 1986, he was elected governor and he was reelected in November 1990, 1994 and 1998. His approach to politics and leadership earned him respect across the political landscape and his leadership consistently achieved results. He went on to serve as Secretary of the U.S. Department of Health and Human Services during President George W. Bush's first term. While serving in Washington Governor Thompson's major initiatives included better preparedness for a bio-terrorism incident and focusing attention on large scale health problems including obesity and diabetes. Since then, Governor Thompson has remained active in Republican politics and philanthropic efforts to invest in the State of Wisconsin. Most recently the University of Wisconsin Madison has dedicated the Tommy G. Thompson Center on Public Leadership, to advance civic minded research and leadership for the future. Ryan Owens is a Professor of Political Science at the University of Wisconsin and the acting Director of the Tommy G. Thompson Center on Public Leadership. Owens studies law and courts and American political institutions. His work analyzes the United States Supreme Court, the United States Courts of Appeals, legal institutions, and judicial behavior. Before coming to Wisconsin, Owens was Assistant Professor of Government at Harvard University. Prior to graduate school, Owens practiced law in Madison, WI. Professor Owens is co-owner of the Green Bay Packers, along with roughly 360,760 others. Mark brings over 25 years of experience in manufacturing and leadership to the Conservative Energy Forum. 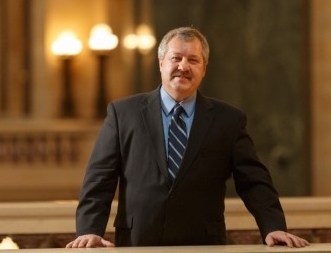 In addition to his small business and manufacturing background Mark served for a decade in the Wisconsin State Assembly as Chair of the Committee on Energy and Utilities. Born in Milwaukee, Wisconsin, Honadel was raised in Oak Creek, graduating from Oak Creek High School, MATC, and Marquette University. He was elected to the Wisconsin State Assembly in 2003, representing South Milwaukee and surrounding areas. He served in Assembly leadership as Majority Caucus Chairperson in 2007. As a former conservative legislator and small businessman, Mark brings a unique perspective to conservative energy policy. He currently works with Goodwill TalentBridge as a Business Development Manager. In that role he works daily with organizations and businesses across Wisconsin to help create effective employment solutions. Debbie Crave is Vice President of Crave Brothers Farmstead Cheese, LLC (CBFC). She manages administration, marketing/sales, and public relations for CBFC. Agri-Business Center, where she traveled with the Governor on overseas trade missions promoting Wisconsin agriculture and exports. She worked closely with the other Midwestern State Departments of Agriculture on many agricultural marketing and promotional programs. Debbie joined the Wisconsin Milk Marketing Board (WMMB) in July, 1998, working in the Producer & Board Relations area and in Marketing as Director of Events/Communications. She began working for Crave Brothers Farmstead Cheese, LLC in 2001. Debbie graduated from the University of Wisconsin–Madison with a Bachelor of Science degree in Forestry and Horticulture in 1981. She presently serves on the World Dairy Expo Board and their Executive committee. Past Board affiliations: Thrive Board, CARET rep for UW Madison College of Agriculture, the Wisconsin Specialty Cheese Institute Board, and advisor to the Professional Dairy Producers of Wisconsin Board. She also served on the Wisconsin 4-H Foundation Board and the WALSAA (Wisconsin Ag& Life Sciences Alumni Association) Board. Debbie served as a 4-H leader for the Portland Boosters 4-H Club in Dodge County and is a past 4-H member from Turtle 4-H Club of Rock County. She was born and raised in Beloit, Wisconsin. Debbie and her husband George reside on the Crave Brothers Dairy Farm in Waterloo, Wisconsin. They have three children- Patrick, Brian and Roseanne. Matt Neumann has been working in real estate development, home building, and solar development for over 10 years. He graduated from Wisconsin Lutheran College with a Bachelor’s Degree in Business Economics, then received an MBA in Marketing and Finance from Marquette University. Matt joined his father, Mark, in business developing single family conservation subdivisions throughout Southern Wisconsin in 2004. In 2007, Matt partnered with Tim O’Brien to start Tim O'Brien Homes, which is dedicated to building Energy Star and Green Built certified homes and is now one of the largest building companies in Wisconsin. In 2009, Matt started SunVest Solar, a national solar developer focused on achieving American energy independence through market driven environmental stewardship, most recently ranked as the 26th largest solar developer in America. Matt’s business teams have been widely recognized both nationally and locally for their success over the years being named seven times on the list of fastest growing privately owned companies in America by Inc. 5000 Magazine. They were also featured in the Small Business Times Future 50 multiple years running. Most recently all three of Matt’s core companies were awarded Milwaukee Business Journal’s Fastest Growing Firms and also the three were named by Inc. 5000 as America’s fastest growing private companies in the same year. Matt was recognized by both the Milwaukee Business Journal, Professional Builder and Midwest Renewable Energy in their 40 under 40 Classes of 2015. Jon Hochkammer serves as the Outreach Manager for the Wisconsin Counties Association, overseeing outreach efforts with all counties and any other groups that interact with county government. He previously served as Legislative Director, as well as the Director of Insurance Operations for WCA. Jon frequently speaks on behalf of WCA to groups and individuals interested in local government issues. He served as Manitowoc County Board Chairperson/Administrator Coordinator and on other county boards and commissions. He chaired the Dane County Area Agency on Aging Board, served on the Dane County Specialized Transportation Commission and the Dane County Human Services Board. Jon currently chairs the Dane County Library Board. He was elected Mayor of the Verona in April 2006 and has been re-elected every two years since to the position. 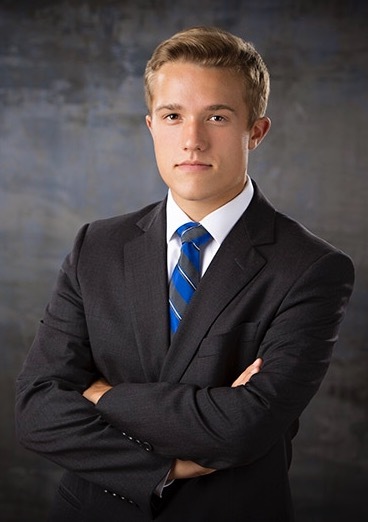 Benji is a conservative activist from Appleton, Wisconsin and a junior at the University of Washington in Seattle. He is the founder of the American Conservation Coalition (ACC), the largest right-of-center environmental organization. Through ACC, Benji is helping unite Americans on pro-environmental reforms, all while changing the narrative when it comes to conservatives and the environment. Benji is a Fellow at the Chapman Center for Citizen Leadership. He previously served as a co-chair for Young Americans for Mitt Romney and was named one of RedAlert's top "30 Under 30" conservatives in 2015. He has contributed to sites such as CNBC.com, Townhall, and TheBlaze. Benji has also spoken at political events across the country, including CPAC in 2014 and 2016.